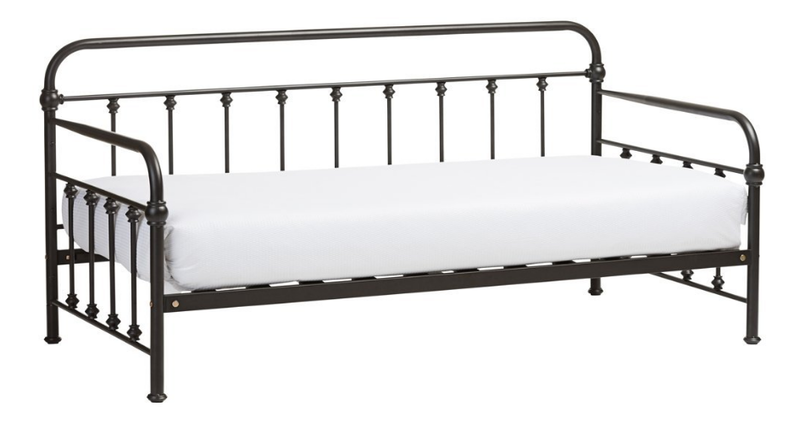 For mattresses and bed frames see my post on mattresses and bedding. I recommend all of these products, some of which are affiliates and some of which are not. -Natural cushion fill such as natural latex, cotton, down and wool (See my warning about natural latex here. The concerns may be more related to beds, but I can't say for sure). -Some of these brands offer leather which some folks may prefer due to the ability to wipe it down. Leather needs to be looked at closely in terms of the trestments. Here is a short video I made about the components of a non-toxic sofa. They carry Cisco Inside Green and Essentials collection, see section below on Cisco. Another line they carry is Younger + Co which is a more or less a standard sofa. Stem sofas are made with either polyurethane or natural latex, 0 VOC glues, no flame retardants, fabric options that are all natural, organic, or both, solid alder frames, organic cotton internal frame lining. You can use code MyChemFreeHouse10 for 10% off. Locations throughout the US and Canada. 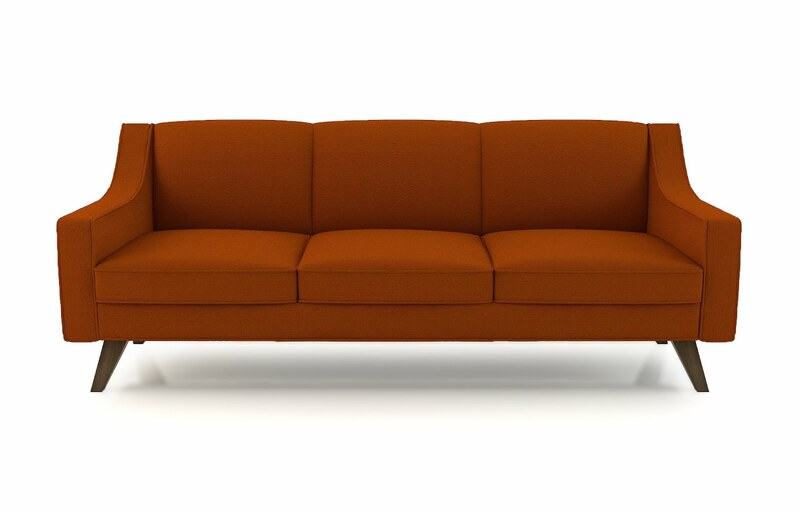 Any of their sofas can be made with the Inside Green option. The Inside Green option contains natural latex or wool, down, certified solid woods, organic fabrics with no toxic treatments, WOCA natural stains, no flame retardants. The more affordable green line is called Essentials Collection which contains hardwood (no plywood) typically alder or maple, polyurethane with soy, cushion with goose feathers & down, water-based wood stains from WOCA. Fabrics are also washed to remove any residual dust or chemicals. (Check to see which WOCA stains they are using if super sensitive, as there is a discrepancy between what Cisco is saying and the SDS sheets, some people react). You can also order online from some of the sellers. 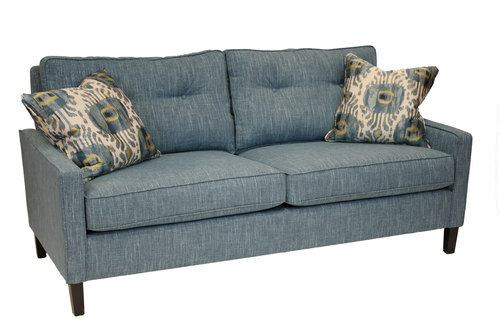 Urbangreenfurniture: Start at $3400 carries Cisco's sofas made with the "Inside Green" option. 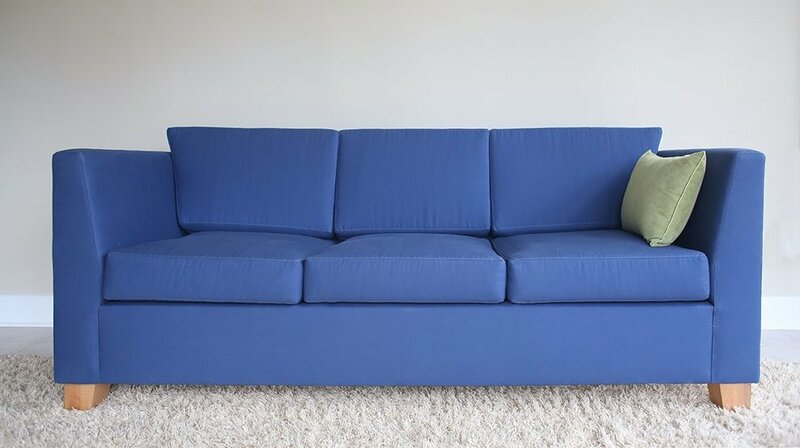 These handmade, customised sofas are made to last with traditional methods (and that means less glue and more options for customization). They use organic wool, organic cotton, and organic-certified natural Dunlop, GOTS certified fabrics with no flame retardants used anywhere. Kapok and down are offered in some configurations. They use non-toxic 0 VOC glues, and Rubio Monocoat stains. They can use a different finish if the customer is sensitive to Monocoat, or leave it unfinished. They can also accommodate a latex allergy by completely leaving out and replacing the latex. Solid wood frames made are made of alder and beech and, usually ash for the legs. The Essential Collection is more of option than a collection, and is a more affordable option. You choose between polyester and down. The down blend is 50% polyester fiber, 45% duck feather, 5% duck down. They don't contain flame retardants and they have organic cotton covers. What's inside may still bother sensitive people such as glues. There is some solid and some engineered wood in here. After emailing the company it sounds like there is no foam in here, but I would double check. For someone not extremely sensitive, on a budget and wanting to avoid both latex and polyurethane, this would be one of the best options. Made with solid alder, low VOC wood glue, water-based stains. Made with polyurethane or latex. The latex is either 100% natural or 70% natural /30% lab made rubber with no flame retardants. Very few of the fabrics are treated with flame retardants. Polyester batting can be swapped out for wool batting. Made with solid maple, no plywood or particle board. GOTS-certified organic upholstery (hemp and or cotton), natural latex, option of natural finishes or unfinished. No flame retardants. Natural latex with feather and down wrap, solid maple wood, eco-friendly wool, GOTS organic cotton. Greenguard certified water-based glue. Rubio Monocoat on legs. 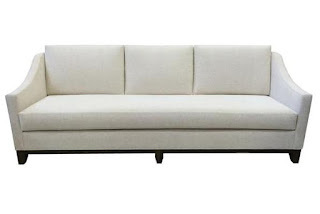 If you want a simple wooden bench see my custom made sofa here. 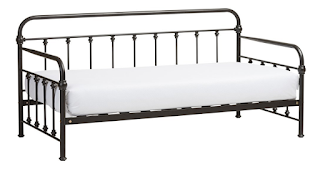 If you are too sensitive for wood, or typical couches, you could try a metal daybed from Walmart, IKEA or Amazon (Amazon link to daybed on left) and put a non-toxic mattress of your choosing on it. 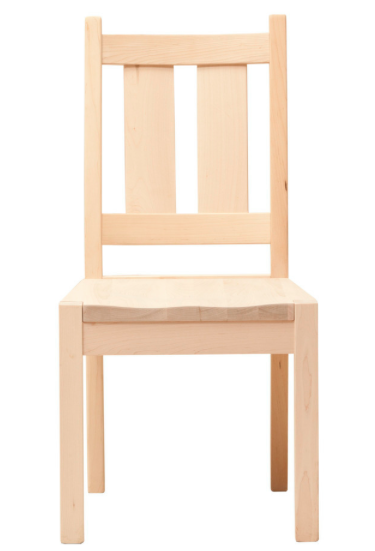 For chairs and tables look for solid wood (with zero-VOC stains and varnishes) and zero or low-VOC adhesives. For some people, the terpenes in wood might not be tolerable. Low odour woods are preferable for most sensitive people. Avoid laminated wood, plywood and MDF board. Urban Natural uses either natural oils and a beeswax finish or a zero-VOC water-based catalysed varnish finish. The glues vary by manufacturer. One brand uses a Cradle-to-Cradle certified (toxicity level yellow) glue. Urbangreenfurniture - Their wood furniture is treated with low-VOC stains. They use non-toxic, low-VOC glues. Viesso - Uses ECOS 0-VOC finishes on non upholstered items, or natural oil and wax finishes. 0-VOC glues. Stem - Has some beautiful solid wood furniture, sealed with Wood Shield and made with 0 VOC glues. Code MyChemFreeHouse10 for 10% off. Vintage or reclaimed wooden furniture might be tolerable for some if you are sure it hasn't been refinished recently with conventional products, and it has not been exposed to chemical cleaning products, smoke, mould, or other chemical substances. If you can't fnd what you are looking for in the eco stores or in big box stores, try Amish furniture making companies. 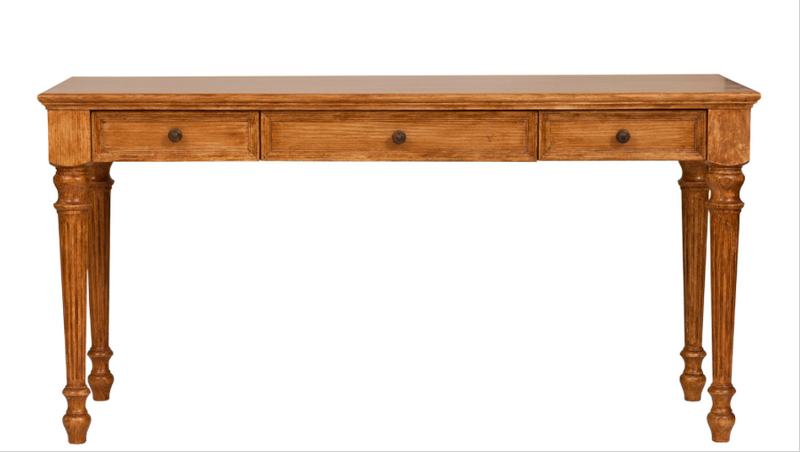 Solid wood desk (pictured) with a low-VOC finish from Urban Green. 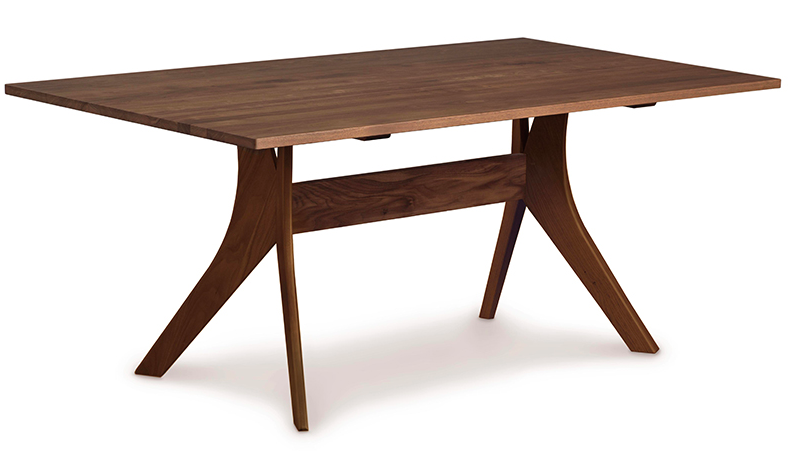 Solid wood desks from speciality stores tend to be pricey. Solid wood, unfinished - Standard glue, but very little used. Solid wood furniture from speciality stores tends to be expensive. Here are some alternatives. Glass and metal are generally the safest options. Metal may need to be washed down in order to remove factory oils; powder coated metal is the best option, but all metal finishes become inert quite quickly. Hard plastics are fairly safe and are tolerable for most people. With marble tables keep in mind that a resin is used to fill in the fissures and a sealer is often used as well. There is no data on the VOC levels of those sealants. 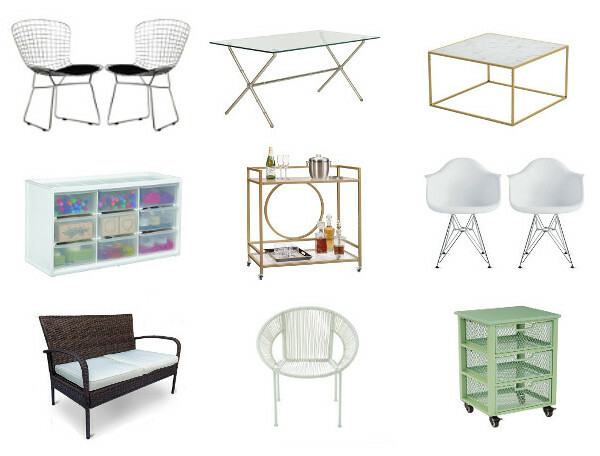 You can find metal furniture at Target, IKEA, Amazon, Walmart and other stores. Home Depot sells basic furniture made of Sterilite which is highly tolerable. 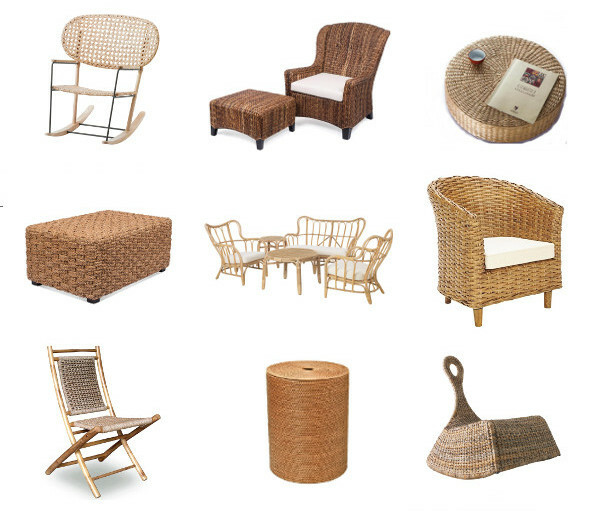 You might also want to consider furniture made of rattan and seagrass - it may be made for indoor or outdoor. The outdoor "rattan" is usually plastic. IKEA and Amazon always have a selection of seagrass and rattan furniture, rugs and baskets. Hi - Nice article. It may also be worth noting that the wood finish makes a big difference in emissions. Ask for zero or low VOC wood finishes (many wood finishes can emit formaldehyde, even though solid wood is used). Polyurethane foam is usually OK, if you ensure it is flame retardant free. Also ask for non PFC coated textiles and textiles without antimony (which is a catalyst used in polyester textile). Thank you for this information. I anyhow don't want poliester in my life. But, I guess I need to be informed about wood. So much to worry about. Both are chrome so yes would consider both to be non-toxic. Wash metal with soap and water for those extremely sensitive. 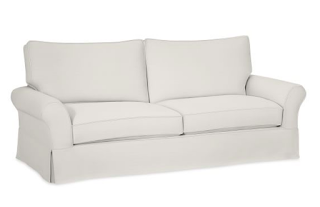 You should check out EcoBalanza as a green Sofa maker too!!! My friend just bought beautiful custom stuff from them, and I'm researching but they're not on your list! Thanks for the tip. How much did she pay for hers? 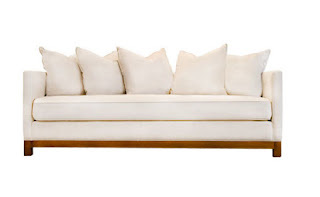 What is the name of the cream 5-pillow sofa above the ciscobrothers.com? So sad... Ekla home closed it's doors. I love my couch from them! 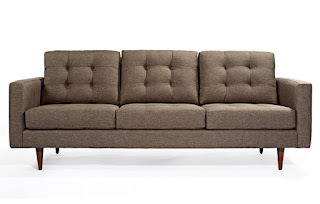 Check out EcoSelect Furniture. (http://www.ecoselectfurniture.com/) They have great customer service and products with no toxins. I got a sleeper sofa. Locally sourced USA wood. Recycled coil springs. And they have great ratings on FaceBook! Our bedroom furniture from americanecofurniture.com had a formaldehyde free finish and had no smell at all when it arrived. They are made in the US and they are the most beautiful pieces in all our house. Loved this article! I would add Quatrine Furniture to the list, as everything is made in the US without formaldehyde and other toxins. The foam is Certi-Pur US, and the sofas are covered in machine washable slipcovers. Prices are comparable to Cisco Brothers. Those look like standard couches to me. The only green certification listed is certipur which is really just standard polyurethane which is not non toxic. It does off gas. Any polyurethane could reach that standard. I don't see any steps taken like with the brands listed here. I'm wondering why you don't discuss secondhand/vintage furniture? I have always assumed that in terms of outgassing, anything a few years old is better than most new things. I do mention that option. It works for some but usually ha neither fragrance or mould contamination. Not everyone is that sensitive though.